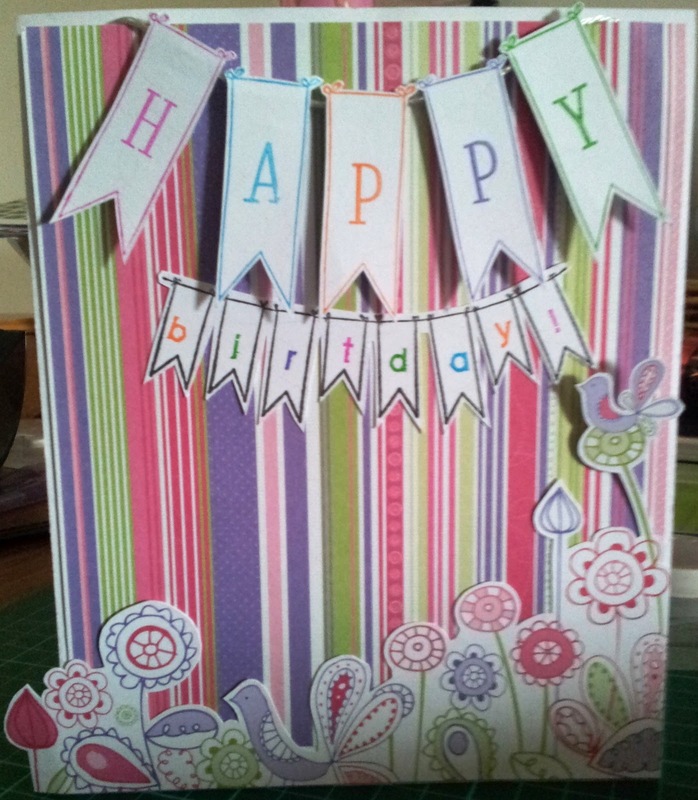 Thought I might quickly share a card a made the other week for Brendens niece Mia. 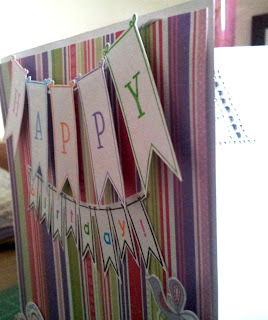 I used a piece of scrap white card stock as the card itself then decorated the front using papers from the Kaisercraft La-Di-Da collection 6" paper pad. 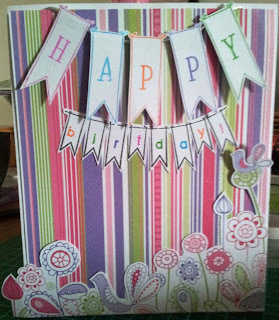 I created the banners using the Fine & Sunny stamps again from Kaisercraft, making the 'HAPPY' sway simply by attaching to DMC silver floss. The lettering is various alphabet stamps and finally put bling letters inside. Looks great Nic. Don't outdo your auntie!!! I love the fact you used the La-Di-Da collection - is Chloe saying that Yet?